Ms. Hand saves Jewel from seem demons and she flees with her baby. 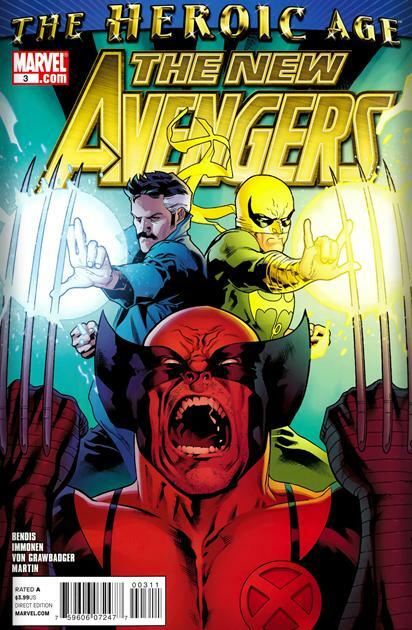 The new avengers battle the demons which are erupting across the city. Strange, Voodoo and Hellstrom return to his sanctum to formulate a plan and figure out who would be powerful enough to pull this off. In a white light room stands Iron fist with the eye of agomotto in his possession. The unseen duo lament that it was him who has the eye since he is a magical being thus did not disintegrate upon being teleported there. He is then confronted by the person responsible…..the teacher of Dr. Strange. This issue was a step back in the right direction; it had character development and interactions which didn’t grate on my last nerve. Ms. Hand steps up to the plate as a reformed villain while the mystery of the attack gets sifted by Strange, voodoo and Hellstrom. We also get confirmation that voodoo’s brother has also been captured. 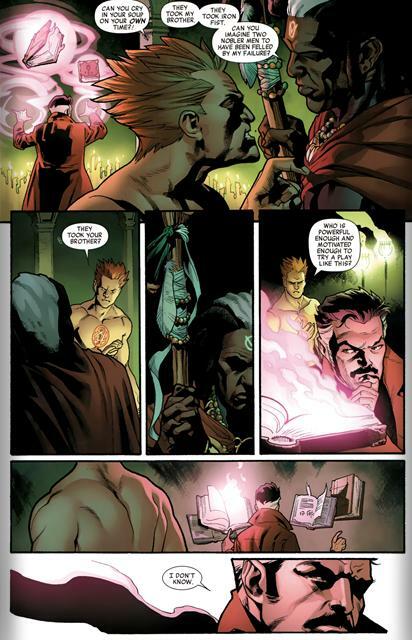 Voodoo is also placed in the “regret before death” scene where he feels he has failed and thus is set up to do a big redeeming act in the conclusion of the story. Art and colors were good. Nice reveal on the last page. Story still is boring. Bendis has a way of writing where you see him move his pawns around before something meaningful happens and this is just the movement phase with nothing to say “buy this issue”.